Skałka, which means "a small rock" in Polish, is a small hillock in Kraków where the Bishop of Krakow saint Stanislaus of Szczepanów was slain by order of Polish king Bolesław II the Bold in 1079. This action resulted in the king's exile and the eventual canonization of the slain bishop. Originally, a Romanesque church was built there. King Casimir III raised a new gothic church in its place and since 1472 this shrine has been in the possession of a cloister of Pauline Fathers. In 1733-1751 the church received a baroque decor. 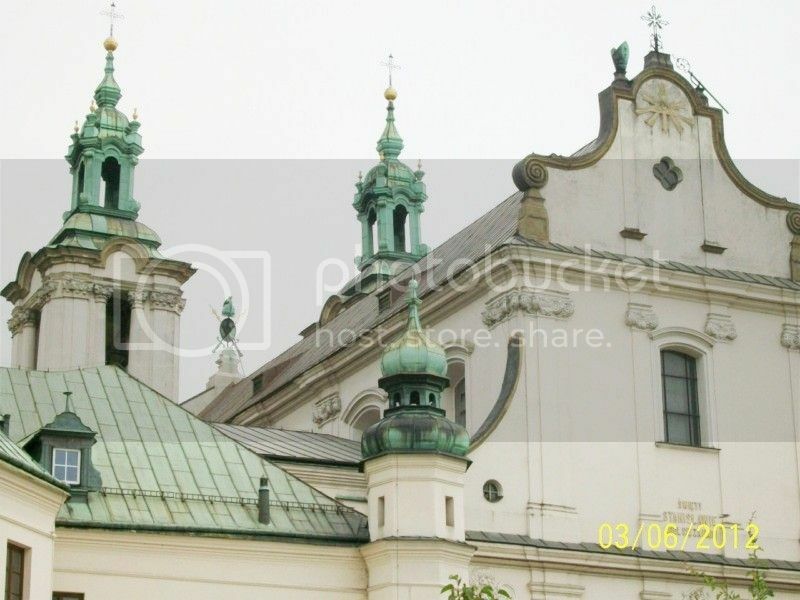 It is one of the most famous Polish sanctuaries. The crypt underneath the church serves as a "national Panthéon", a burial place for some of the most distinguished Poles, particularly those who lived in Kraków. I had always assumed that when I was finally elbowed off this mortal coil there would be a straight-up fight between Westminster Abbey and Skałka for my ancient yet remarkably beautiful corpse. My plan had been to stipulate a fifty-fifty split so as not to cause disappointment. This may have been a hasty decision — apparently neither venue has the room. Westminster Abbey has been full for centuries and is currently only accepting celebrity ashes, and now I discover that Skałka is also chock-a-block. It has to be said that planning to build a new pantheon for future heroes is a gutsy act of optimism. I can’t imagine something similar happening in the UK. Building a pantheon for national heroes implies, of course, that there will be future heroes. What isn’t clear to me is how Poland is going to agree on who these heroes are. Kaczyński’s death was so divisive that it must raise questions about the likelihood of any Pole, no matter how talented or heroic, getting the vote of the majority. Even the interment of Miłosz, a bona fide internationally lauded cultural figure, in Skałka raised howls of protest from sections of Polish society. Is there anybody alive at the moment who most Poles would label pantheon-worthy?